Visit the fabulous Historical Villages of Portugal on an 8 Days/7 Nights trip. Discover the villages located on Europe's oldest frontier. Explore the history, traditions, colors, smells and tastes of a diverse territory and culture. They may be tiny points for anyone watching them on the world map, but the truth is that it was thanks to them that Portugal took its course. Strategically located along the Spanish border, the Historical Villages are the fruit of the work of several generations of kings who have focused on populating and fortifying the region. 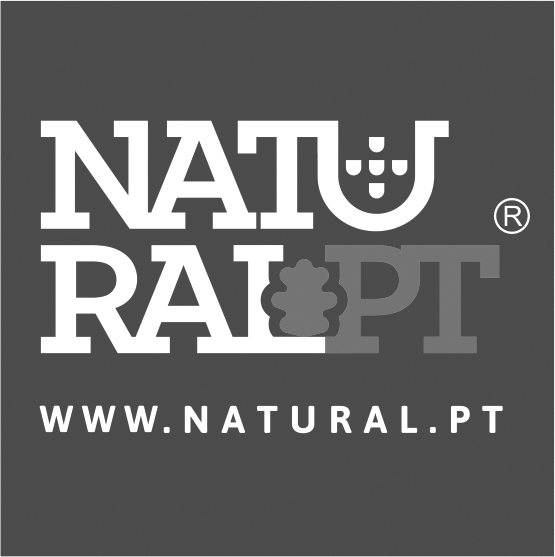 Walk and get inspired by the unique landscapes of the interior of Portugal and taste regional delicacies like cheese, wine, kid, lamb and sausages. A 15 drive minutes from Vilar Formoso, you will find the Historical Village of Almeida, known for its star-shaped fortress, thus constituting one of the most spectacular European examples of the defensive systems of the 17th century. After visiting the fortress, you will have the opportunity to taste a meal based on local gastronomy. After lunch, head to the Historical Village of Castelo Rodrigo (+/- 20 min), an authentic monumental space that preserves important medieval references. The village is characterized by the old walls, the ruins of the palace of Cristovão de Moura, the 16th century pilary, the main church, the medieval cistern and the vestiges left represent the former presence of an important community of new Christians. Check-in and overnight in Castelo Rodrigo. After breakfast, drive to from Castelo Rodrigo to Almofala (+/- 10 min) where you will find the start of the route of the Douro International Natural Park, being this a route rich in points of archaeological and historical interest. It is a circular route of 6.5 km with a duration of 3 hours, where you have the opportunity to enjoy magnificent landscapes, as well as observe birds of prey. Take the rest of the day to stroll in Castelo Rodrigo or relax in your hotel. If you prefer a more natural and wild walking route, get out of Castelo Rodrigo towards the South Gate of the Faia Brava Reserve (+/- 40 min). It is a protected area in the valley of the Côa river, there you can enjoy a place where nature is the most important. Along the route you will pass several points of interest in this area, such as the steep valley of the Côa river, the cork-oak forest and the traditional pigeon lofts. Bird watching is one of the activities with the greatest expression in this place, and it is even possible to see closely the feeding of vultures and other birds. After breakfast, drive to the Historical Village of Marialva (+/- 20 min). In this Village you will walk the PR1 - Meda, a circular route of 3.8 km with a duration of 1h 15 min where you will get to know the most emblematic places of Marialva, as well as its history while traversing ancestral paths. Later on, lunch suggestion in Trancoso (+/- 25 min) in the Cantinho dos Arcos. After lunch, enjoy all that this municipality has to offer, not forgetting its famous millenarian castle, as well as its historical characters and curiosities: the Sapateiro Profeta Bandarra (prophet and shoemaker) – in the Interpretive Center of Bandarra – or the famous Sardinhas Doces (sweet sardines) – typical sweet of the city. If this day coincides with a Friday, take the opportunity to visit one of the largest and oldest fairs (Market) in Beira Interior, where rural communities sell traditional products and goods. Before the day ends, head to the Historical Village of Linhares da Beira (+/- 40 min). It is a medieval village of the 12th century, characterized by its unique architectural and artistic diversity, fruit of the legacy of different periods. To end the day, nothing better than enjoying a magnificent dinner in this Historical Village (suggestions: Restaurante Cova da Loba, Taberna do Alcaide). You can also enjoy one of the traditional products of this area, Queijo da Serra da Estrela (cheese) – being obtained from raw sheep's milk, from Bordaleira or Churra Mondeguinha, two breeds from the Estrela mountain range. Afterwards, for lunch, the suggestion is the Restaurante do Lagar Municipal (reservation required). After lunch, and back to Linhares, you have the opportunity to walk the PR 4 – Roman path, a circular route of 5 km with a duration of 1h25 min. The landscape of this route is full of marks of the mountain population and rural environment. If you wish to lengthen your active afternoon, it is suggested to go through the PR1 – Trilho das Ladeiras, a circular route, of 3.1 km with a duration of 50 min, where animal traction vehicles circulated always with fields of crops as landscape. 1h10 min from Linhares da Beira, you have the opportunity to visit Sortelha, one of the most beautiful and old Portuguese villages. Sortelha has kept its urban and architectural physiognomy unchanged until the present day. Take a 4 km circular tour of the historic route, known for having a central theme focused on the medieval period and also for using ancestral paths now abandoned, which values ​​and makes this path quite interesting. Later on, for lunch, the suggestion is Dom Sancho. Enjoy the afternoon to explore the Historical Village of Sortelha, a frontier village that is a medieval urban space built based on its defensive needs and the military organization of the time. On this day, take time to rest from the hikes and take the day to visit Penamacor. It is a territory rich in heritage, a result of its historical past and the geographical and natural conditions that this region possesses. Penamacor excels by its magnificent natural landscape for the Malcata mountain range. If you prefer, you can simply enjoy some recreational activities in your accommodation, such as horseback riding or even canoeing. After breakfast, head to Monsanto (+/- 30 min from Penamacor), a village with unique characteristics that offers a unique experience to those who visit. It is a very old place, where the human presence is registered since the Paleolithic period. 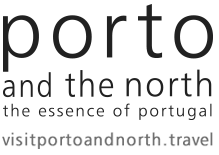 It is a 7 km linear route linking two of the 12 Historical Villages of Portugal. Once you arrive in Idanha-a-Velha, you can enjoy exploring and visiting the remarkable collection of ruins that this village preserves, it is a place that stands out in the context of the archaeological sites of the country. This is a circular route of 24.5 km, which connects Monsanto to Idanha-a-Velha, walk the section of GR 12 to Idanha-a-Velha, and the return to Monsanto is done on GR 22. Along the walk you can enjoy magnificent landscapes and a cultural and historical point of interest, such as a Roman bridge and the Capela da Nossa Senhora da Azenha (chapel). Finally, finish the route by going up the Roman road to the imposing "island" that stands out in this flat landscape and where it was installed ancestrally the Historical Village of Monsanto.